Winston is a refined collection of 46 condominiums and four townhomes coming soon to the community of South Oak. 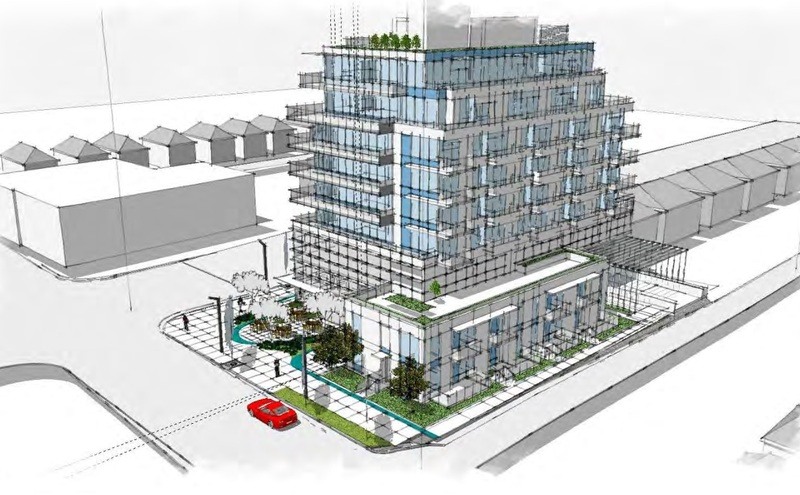 Rising eight storeys above the corner of 67th Avenue and Oak Street, Winston ushers in a new era for convenience. With sophisticated one-, two-, and three-bedroom homes that range in size from 473 to 1,477 sq.ft., Winston sets a precedent for bold, modern living in South Oak. Live amid a diverse selection of essential amenities, David Lord Elementary and Sir Winston Churchill Secondary schools, and Oak Park with its grass playing fields, tennis courts, baseball diamond, and walking trails. Choose from a wide variety of shopping, dining, and entertainment options close at hand at Oakridge, Marine Gateway, Marpole Village, or Richmond. To get away from it all, Highway 99 will take you south to the US border, while nearby YVR airport brings the world to your doorstep. This project is in pre-construction. Sign up to our VIP list above for priority mailings on Winston updates. Contact me today to discuss availability and plans if you have a serious interest in Winston. Level 2 offers 1,606 sq ft of indoor amenity space, including a multi-function room with kitchenette, gym, washroom, and equipment storage. A 2,083 sq ft adjacent roof deck above the townhouses has a children’s play area, edible landscaping, and a sitting area. 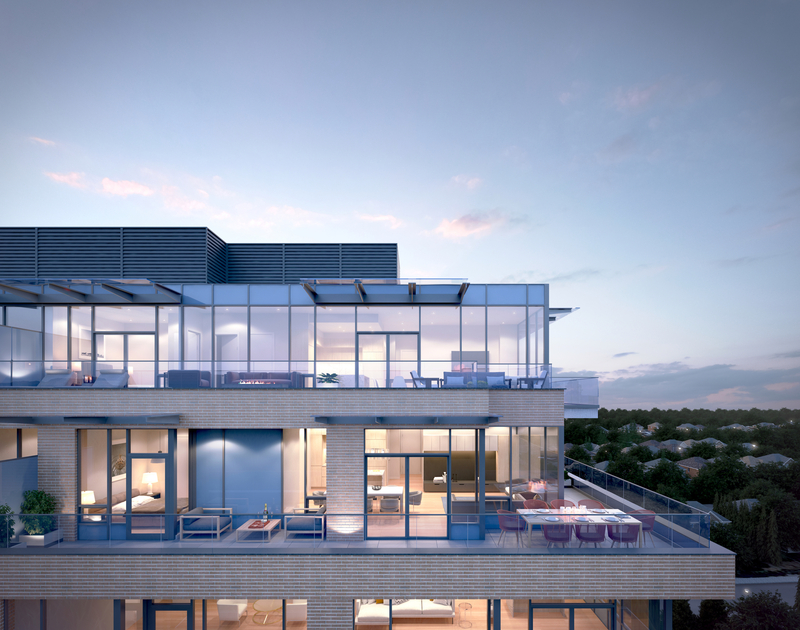 On the roof, a shared, landscaped terrace offers lounge seating with a fire pit, an outdoor kitchen with barbecue and dining area, and community garden planters. On the ground floor there is space for up to four retail units. On the second floor, up to five offices can be accommodated. Three levels of underground will provide 104 vehicle parking spaces, consisting of 72 residential, 26 commercial, and six visitor, of which two are disability parking spaces. It will also offer 63 residential and four commercial Class A bicycle stalls. A Class B bicycle rack at ground level will provide space for six bicycles. Coromandel Properties is a commercial and multi-residential property developer that works with clients and communities to create inspired environments. They combine the latest advances in technology, while being sensitive to the unique nature of each location and the responsible use of resources. IBI Group, a globally-integrated architecture, planning, engineering, and technology firm, has been retained as architects for The Granville. From high-rises to industrial buildings, schools to state-of-the-art hospitals, transit stations to highways, airports to toll systems, bike lanes to parks, they have designed every aspect of a truly integrated city for people to live, work, and play. Portico Design Group has been selected to bring Winston’s interiors to life through creative use of space, colour, and texture with their vast in-house library. Portico provides full interior design services for residential and commercial real estate developers, resort operators, and private home owners in Canada and the United States. Spring 2020. Construction begins summer 2018. Are you interested in learning more about other homes in the Cambie Corridor, Mount Pleasant, or South Vancouver?